Basically, it is a revolving screen that turns over a set of wheels, which also supports it. When residues are introduced, its primary function is to classify them. When fractions are medium and large, it’s function is to separate them from the organic fraction, and for recoverable container, separate them from larger sizes, specially paper and cardboard. 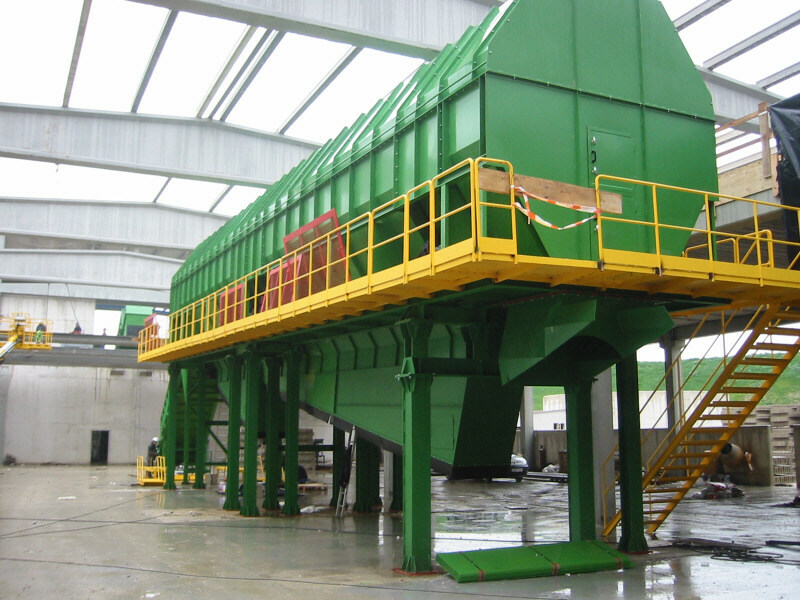 When the material is compost, it is used to refine it, obviously reducing the span of the screen. In our design, the screens are bolted to the cylindrical frame, and therefore, easy replaceable. In blind area (wheel track), a series of feeding blades are installed, that also help to overturn the material, which is very beneficial to help classified the different sizes. Depending upon requirements, we can also installed two different types of blades across the screen that help to open the plastic bags containing the residues. Safety: Since it is completely enclosed, it is unlikely for an accident to occur. The access doors have a safety switch that automatically will stop the machine in case the door is open. Cleanness: The enclose design does not allow material leaks, splatters and more important, the creation of dusts in the area where the trommel is installed, whichever is inside the building with all discomfort that generates the cloud of dust or outside with the blowing problem. 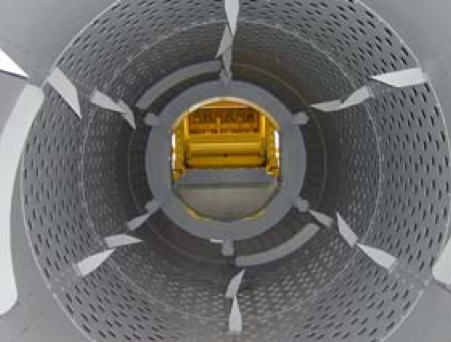 The frame of the trommel can be taken apart completely in order to facilitate maintenance. 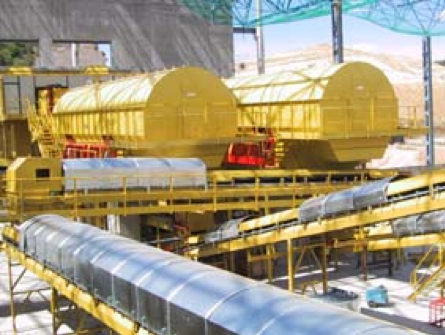 It also has two chutes (loading and dumping), to prevent any dust or light material to exit and make dirty the surroundings. 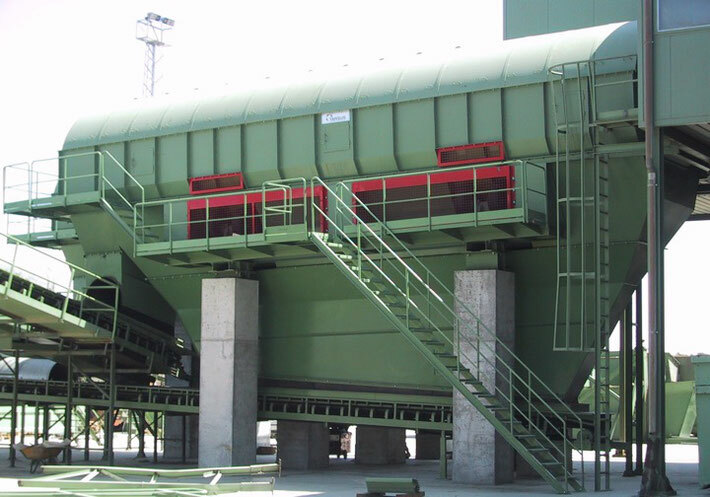 In case the trommel is installed inside a building, its design minimize the presence of waste odors in the area. The trommel has inspection and maintenance walkways all around the machine with railing and stairs according the Safety European Normatives.